Water is a key resource and will become more important as time goes by. 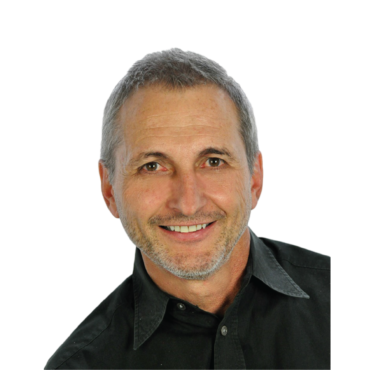 If you are planning on moving to Arizona you need to know and understand that Arizona has one of the best water management systems in the country. 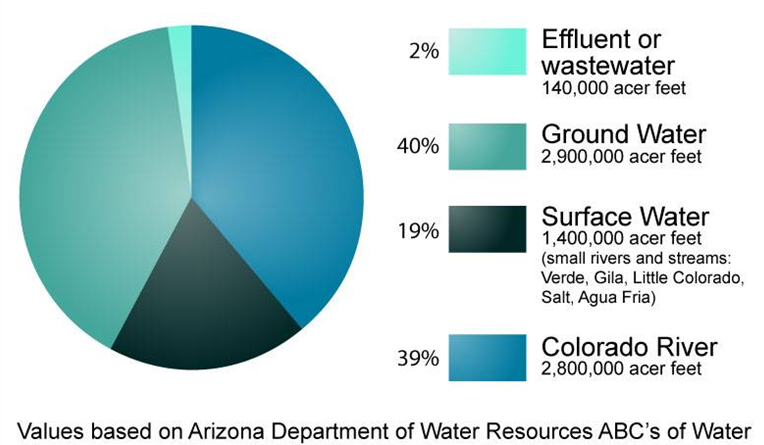 We source about 40% of our water from ground water, 39% from the Colorado River and 19% from surface water. 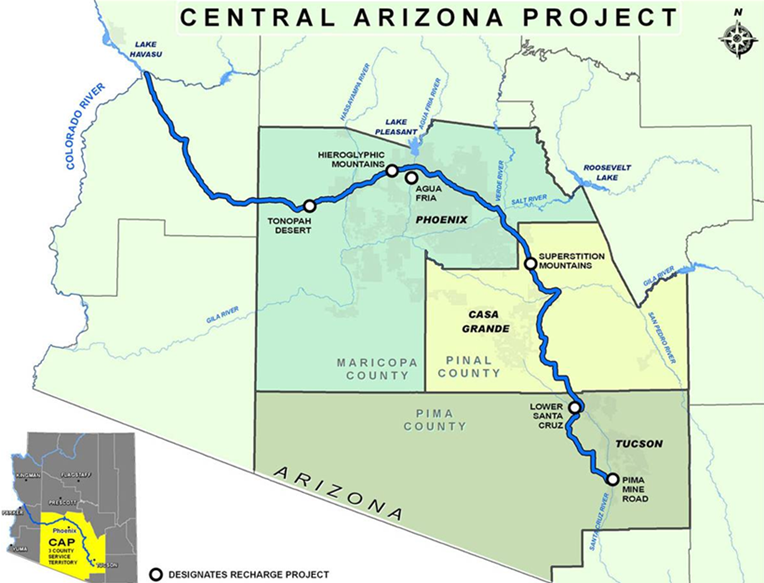 The Central Arizona Project, of which we are very proud, brings water from the Colorado River all the way down to Tucson over a stretch of 336 miles of canals. There are aquifer-replenishing ponds along the way, which provide thousands of acres of land surface for water to filtrate down to the aquifers underground and replenish them. The Arizona Water Banking Authority (AWBA) is in charge of this and was created to store, or bank, unused Colorado River water to be used in times of shortage and to fulfill the water management objectives of the state. The Central Arizona Groundwater Replenishment District (CAGRD) provides a method for property owners and water providers to demonstrate a 100-year assured water supply. Essentially what CAGRD does is to guarantee that all new construction has a 100-year assured water supply before it is permitted to build.